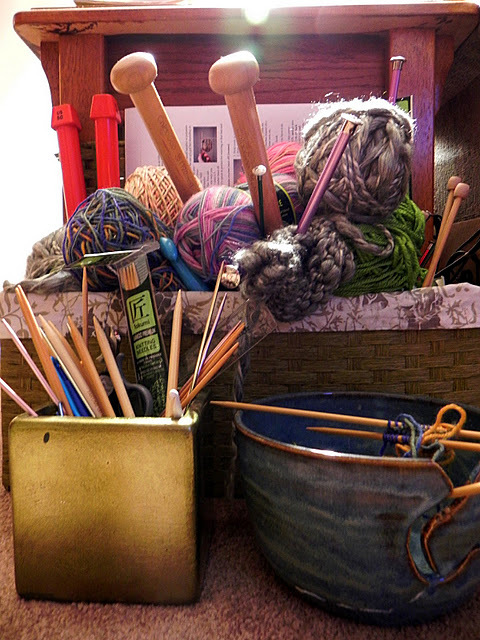 *Not my inability to stick to one knitting project or keep my knitting spots neat and orderly. But, the fact that I cannot figure out how to get a stupid (it isn't stupid, the user is) button to my friends blog (Clan-Donaldson) where I participate in a group effort called "Snapshots from a Sunday". Go read her blog. It's good stuff.